LocalOrg: Ello -The Facebook Killer? September 26, 2014 (Tony Cartalucci - LocalOrg) - Ello, a social network alternative to Facebook is expanding its user base immensely, even as it remains in beta testing. Market watchers and tech trend analysts attribute the influx of users indicative of Facebook's waning popularity due to its invasive, profit-driven, monopolistic, and downright creepy conduct. In theory, not only does Ello's manifesto sound ideal, it is likely to attract a multitude of disillusioned Facebook users fed up with the big-tech's monopoly, but who have stayed aboard for a lack of a better alternative. There has been a lot of chatter on social media this week about a new social network called Ello, which is getting buzz for its anti-Facebook Inc. stance. But is the start-up, which accepts no advertising and does no data mining, ready for prime time? 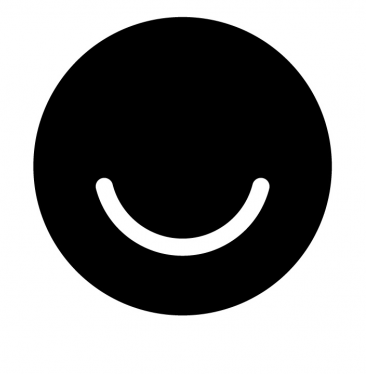 Ello has apparently been gaining such a huge influx of new users that its servers were having problems in the past two days, despite the requirement that you need an invitation to join. Market Watch notes that Ello's popularity is due more to Facebook's shortcomings than Ello's superior performance - Ello which is admittedly still in beta testing and with features still being incrementally added. Migrating from Facebook to an alternative social network is tempting, but careful research must be done to ensure that these alternatives are true in their purpose and not simply the next "Facebook" repainted and refitted to be even more invasive and insidious. The appearance of Ello and its astonishingly expanding user base does illustrate one important point - no matter how many "Facebooks" the establishment tries to create, there will be a demand for legitimate and transparent alternatives that serve users rather than manipulate and constrain them. Whatever Trello ends up becoming, activists across the tech community should be ever vigilant, scrutinizing these networks for abuse, and prepared to meet demands if and when alternatives like Trello fail in their mission statements. Demanding privacy, transparency, and honesty from corporations like Facebook and the special interests they represent is like demanding decency from a common criminal - futile. Instead, measures must be taken, independent of the criminal or criminal enterprise's actions, that will protect individuals and society from their malevolence. Creating a multitude of alternatives and taking ownership over the technology and infrastructure our society depends on by creating local, independent alternatives whittles away at not only the insidious means the establishment wields against us, but undermines the vast resources the establishment has access to in order to create such means in the first place. Follow LandDestroyer on Twitter @LandDestroyer or LocalOrg at @LocalOrgInfo.